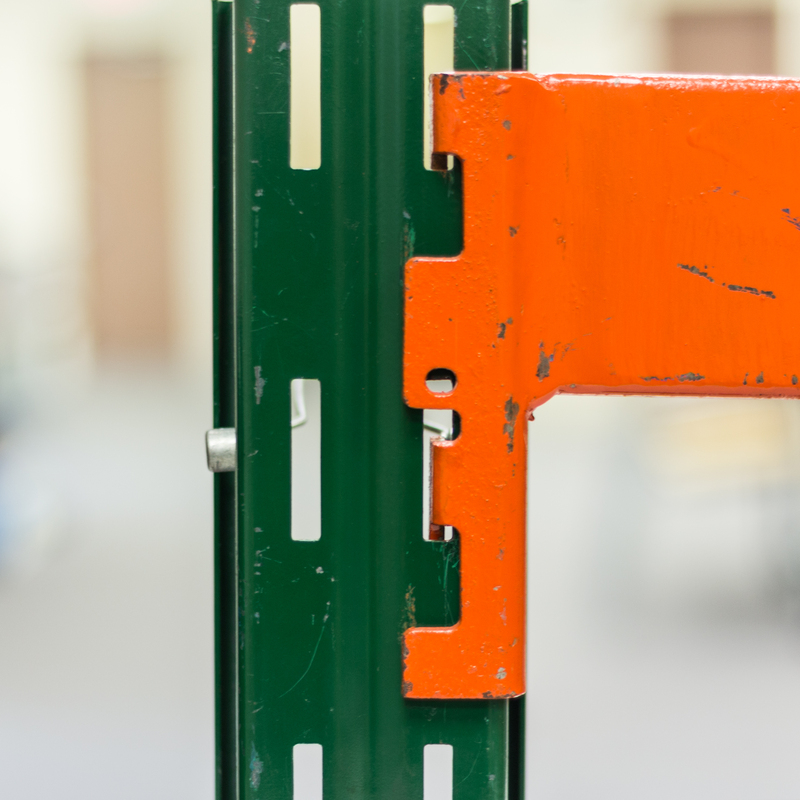 Ridg-U-Rak pallet rack utilizes a slotted hole design. 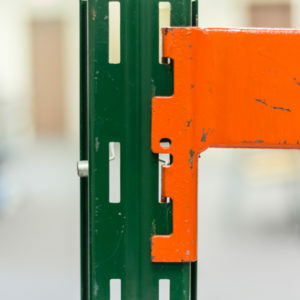 When the beam is installed the return flange on the Ridg-U-Rak frame provides for an additionally secure connection. The slotted hole pattern on Ridg-U-Rak allows for adjust-ability on 4″ centers.